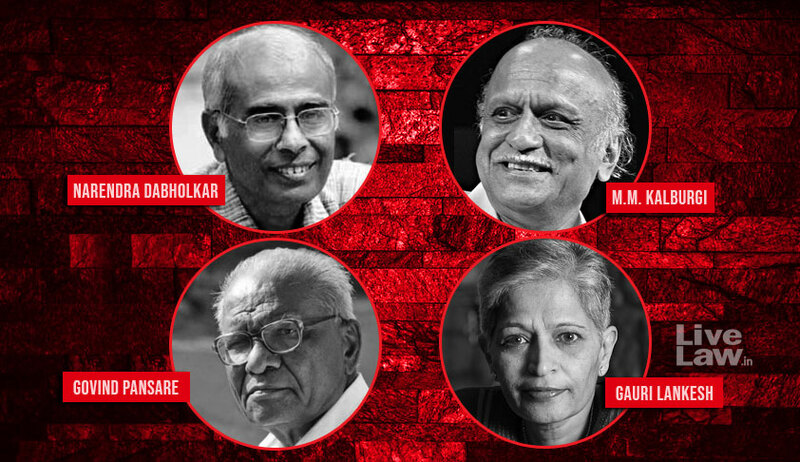 The Supreme Court has asked the Central Bureau of Investigation whether there was any link between the murders of Narendra Dabholkar, Govind Pansare, M M Kalburgi and Gauri Lankesh. CBI, which is at present investigating Dabholkar murder, has been asked to reply to this query by the first week of January. If any such common thread is found, the Court may hand over the investigation of all these cases to the central agency. The bench of Justice U U Lalit and D Y Chandrachud was hearing a plea by the widow of Kalburgi seeking CBI probe. The Karnataka Government submitted that the murders were not isolated and were carried out as a part of a common,larger design. CBI, which is investigating Dabholkar murder on directions of Bombay High Court, had informed a Court in Pune last August that the murders of Dabholkar and Lankesh were linked. This significant submission was made when the agency was seeking the custody of one Sharad Kalaskar, who was nabbed in relation to the case. Dabholkar, a Pune-based anti-superstition activist, was shot dead while he was on morning walk in August, 2013. Govind Pansare, a CPI leader and author of the book "Who was Shivaji? ", was shot dead in February 2015. Kalburgi, a professor and author, was shot dead in August 2015. Lankesh, a Bangalore based journalist, was shot dead in front of her residence in Bengaluru in September, 2017. It is alleged that the murders were handiworks of right-wing fundamentalists, who were opposed to the ideas expressed by the slain authors/activists.